Ron Lewis Alfa Romeo/Pre-Owned Cranberry is the newest store in the Ron Lewis Automotive Group family of dealerships. Located just yards away from Ron Lewis Chrysler Dodge Jeep Ram Fiat Cranberry at 20839 Route 19 North in Cranberry Township, Ron Lewis Pre-Owned Cranberry is a location focused on making your pre-owned purchasing experience positive and exceptional. Ron Lewis Alfa Romeo is the only Alfa Romeo dealership within 50 miles and we are proud to be serving the Western Pennsylvania market and beyond! 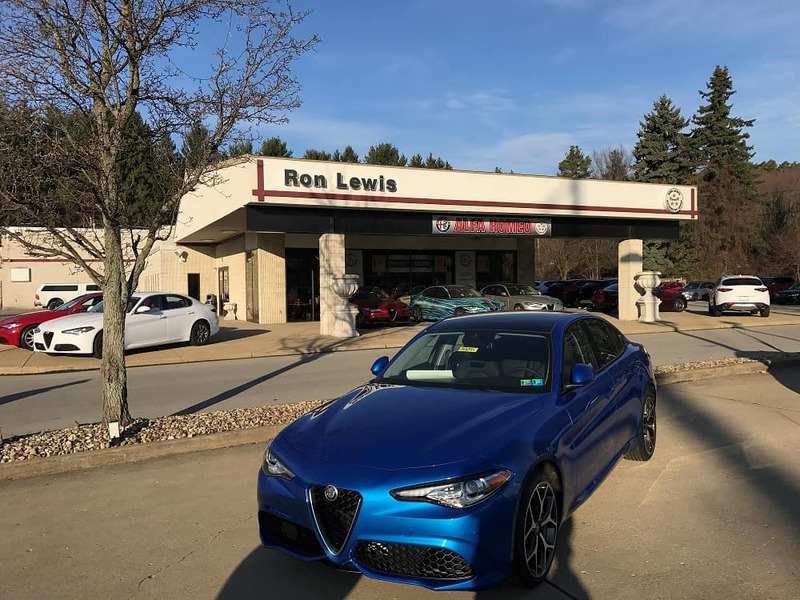 Our Ron Lewis Alfa Romeo / Pre-Owned Cranberry location showcases brand new Alfa Romeo Giulia and Stelvio models, as well as pre-owned vehicles from across our dealership network. If you see a pre-owned vehicle that is currently at one of our other locations, it is no problem for us to bring any vehicle you’d like to see to the location that’s best for you! Ron Lewis Alfa Romeo / Pre-Owned Cranberry is also an official Ron Lewis Automotive Group “Souped Up Jeep” and “Souped Up Truck” destination for customizing any new or pre-owned Jeep Wrangler or Ram Truck. We also offer Express Lane Services that do not require an appointment and are available for oil changes and light repairs on all makes and models (excluding heavy duty and diesel trucks). A multi-point inspection and battery test is included at no charge. Ron Lewis Alfa Romeo/Ron Lewis Pre-Owned Cranberry is the newest store in the Ron Lewis Automotive Group family of dealerships. Located just yards away from Ron Lewis Chrysler Dodge Jeep Ram Cranberry at 20839 Route 19 North in Cranberry Township, Ron Lewis Pre-Owned Cranberry is a location focused on making your pre-owned purchasing experience positive and exceptional. Our Ron Lewis Alfa Romeo/Ron Lewis Pre-Owned Cranberry location showcases pre-owned vehicles from across our dealership network. If you see a pre-owned vehicle that is currently at one of our other locations, it is no problem for us to bring any vehicle you’d like to see to the location that’s best for you! Ron Lewis Alfa Romeo/Ron Lewis Pre-Owned Cranberry is also an official Ron Lewis Automotive Group “Souped Up Jeep” and “Souped Up Truck” destination for customizing any new or pre-owned Jeep Wrangler or Ram Truck.